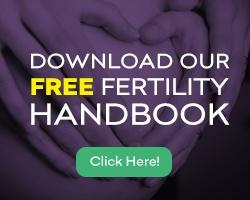 Even if you’ve already started an IVF cycle, you can receive support and nurturing from yoga. There are a myriad of benefits from yoga. It can’t be emphasized enough: Always begin with a moderate yoga regimen – not high intensity exercise – and always get pre-approval from your fertility specialist. Look: Too much high-intensity yoga or other exercise has been shown to hinder successful IVF pregnancy outcomes. But, low-impact yoga can significantly increase conception success rates in women undergoing IVF treatment. When you are investing significant amounts of time, money, and emotion into an IVF cycle, you want to do everything you can to make it successful. Whether there is a clear medical reason – or when infertility is unexplained – life under the weight of IVF treatment can be an extreme struggle. Don’t despair. During IVF treatment, yoga is a magnificent and holistic way to prepare one’s body for pregnancy and birth. The best part? As a pregnancy enhancement tool, yoga is proven to reduce stress, balance hormones, and revamp one’s whole wellness in body, mind, and spirit. Yoga during an IVF cycle combines mindful meditation with physical movement. Physical activity prepares the body for undergoing the challenges of an IVF cycle. Yoga prepares the body for pregnancy. Because every patient’s personal, medical, and financial needs are different, we offer customized IVF treatment. We offer the highest quality care timed precisely around your body’s optimal state of performance. At New Hope Fertility Center, every one of our patients is provided with a unique IVF protocol. Our array of IVF protocols are specially designed to provide the highest standard of IVF care at the most optimal times for each patient’s body. We welcome difficult cases, regardless of the potential adverse effect on our IVF pregnancy success rates. You will discover a love for restorative or Yin style yoga practices that will nourish your mind and body while alleviating the stress associated with IVF treatment. Yoga is easily adaptable to your lifestyle choices. If you have been practicing high intensity yoga methods – pump your brakes and adapt to a more moderate routine. Remember: Your body will be working hard to produce healthy eggs and make a baby. In the months leading up to the beginning of your IVF cycle, scale back high intensity yoga practice with a more gentle and less forceful routine. Once you have started your IVF cycle, make sure you are practicing a very gentle pregnancy-appropriate yoga. On the morning of your surgical egg retrieval, allow time for meditation or pranayama. Practice meditation or pranayama on the morning of your embryo transfer. Then, refrain from any physical yoga in the days following. Discover more about how soft yoga can help increase your chances of pregnancy. It is important to work with a fertility care team having the experience required to design a customized IVF treatment protocol meeting your personal needs. To schedule your initial consultation with one of the fertility specialists at New Hope Fertility Center – click the icon below – or call 917.525.5496.